A bit of coaching and he nailed it. This friendly young guy actually looks incredibly menacing. Either that or he has a dark side underneath the smiles and laughs. 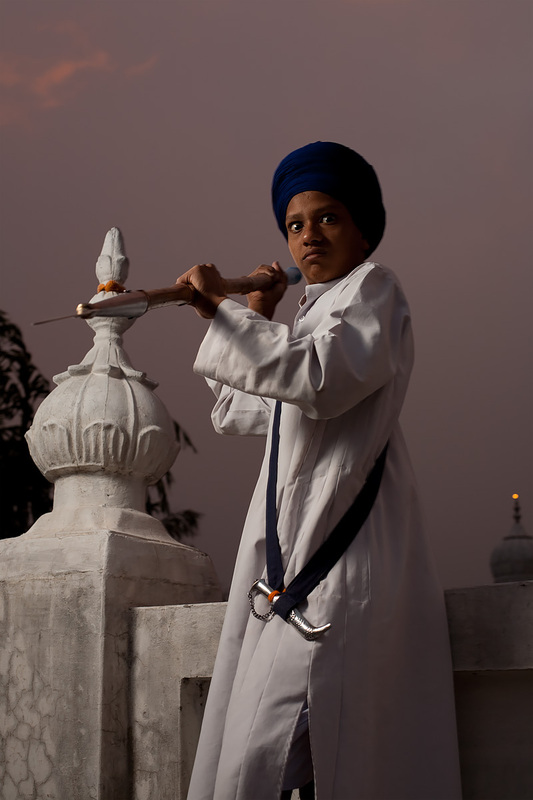 A Sikh teenager poses with a lance and ornamental dagger at the Paonta Sahib Gurudwara. 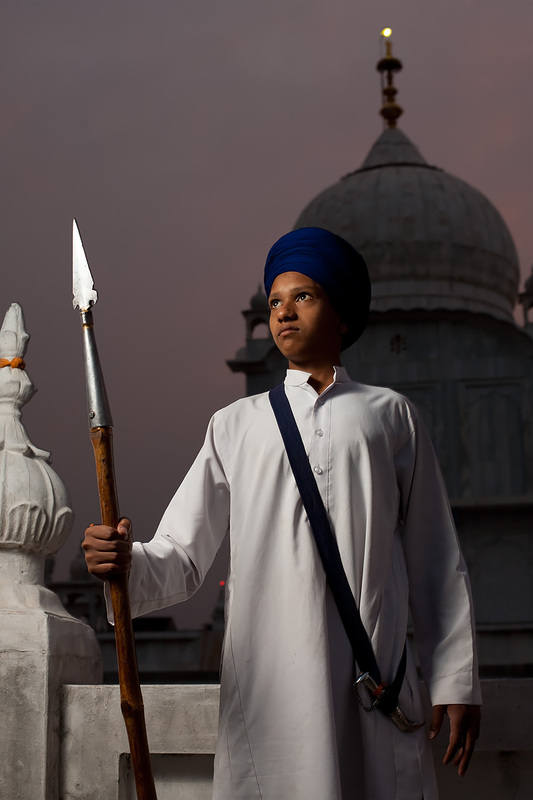 No dark side man, Sikhs pick up weapons against injustice just as a last option. Nice photographs though I appreciate your work.